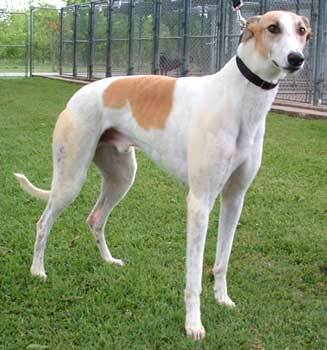 Halt, aka Bohemian Halt, is a very handsome 2 1/2-year-old white and red male. Halt's sire is Gable Dodge and his dam is Bohemian Bop. 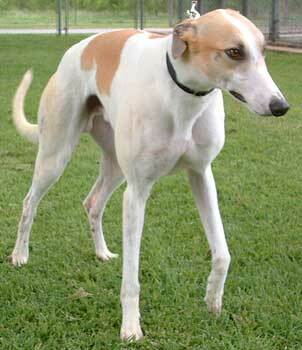 Halt's career never got off the ground, so he is looking for a place to call home. He appears to get along well with other dogs and is cat trainable.